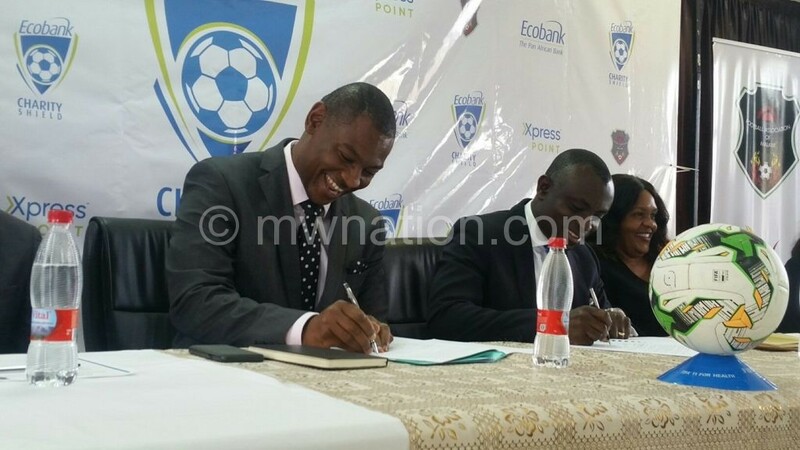 Football Association of Malawi (FAM) has renamed the fourth edition of the FAM Charity Shield to Ecobank Charity Shield. This comes after the pan-African commercial bank yesterday injected K12 million into the four-team competition dedicated to the protection and advocacy against the brutal killings, abductions and persecution of people with albinism in the country. The event is scheduled for March 30 and 31 at Kamuzu Stadium in Blantyre. “The future of Charity Shield hinged on prospects of securing a sponsor and we are happy that now we are very secured. The package will go a long way in covering the costs of the event,” said FAM president Walter Nyamilandu during the sponsorship unveiling ceremony at Mpira Village in Chiwembe Township, Blantyre. Ecobank Malawi managing director Charles Asiedu said they believe the partnership will help the bank register a good name in the country. “It is our hope that this partnership will not only help in football development and advocacy against the persecution of people with albinism, but also provide an opportunity for us to table our products,” he said. Association of Persons with Albinism in Malawi (Apam) vice-general secretary Ian Simbota said they appreciate the support they are getting from FAM and Ecobank. The charity shield, which will this year involve TNM Super League Champions Nyasa Big Bullets, Fisd Challenge Cup winners Be Forward Wanderers, Airtel Top 8 Tournament champions Blue Eagles and Carlsberg Cup victors Masters Security FC, mobilises football fans and the public towards a charitable cause of national significance.